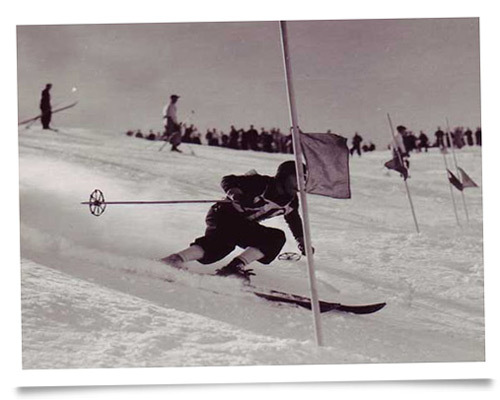 Recreational sport, competitive sport, and tourist attraction: today skiing is a matter of course, but it wasn´t always this way: 80 years ago, four Austrian mountain boys raced down the snow-capped mountains on self-made skis, organized the first competitive races, and became the co-founders of a mass movement. « Ski Heil - The two planks that mean the world » is a deeply personal journey through the lives of my father, Richard Rossmann, and his skiing colleagues Karl Koller, Eberhard Kneisl and Guzzi Lantschner. It traces not only their pioneering achievements, but a shared love for skiing and the mountains which stayed with them over a lifetime - sometimes opening up glittering opportunities, sometimes providing a framework to overcome personal and political dilemmas. All four were born during the chaos of World War I in Austrian mountain villages. Coming from modest backgrounds the boys were fascinated by the new sport from Norway, which gave them a new feeling of freedom and equality high up above the demands of daily life. They eagerly competed in the very first races and contests. Before the outbreak of the World War II, they had all taken part in international competitions. Guzzi Lantschner became World Skiing Champion in 1932. The year before he was picked as an actor and went on to play a leading role in the alpine success movie “White Ecstasy”, where he co-starred along with Leni Riefenstahl. Soon afterwards, by then a director, Leni Riefenstahl introduced him to the movie world in Berlin. 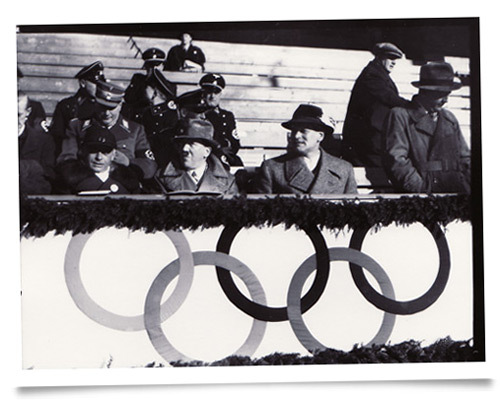 My father Richard Rossmann took part in the 1936 Winter Olympics and went on to study at the Reichs Sports Academy in Berlin, the centre of the German sporting elite. Karl Koller became the junior Austrian champion, earning his money as a private skiing instructor of men like Albert Speer and other political heavy weights. Eberhard Kneisl won silver at the 1936 World Championships in Innsbruck and made it to the Olympics in the same year. With unusual frankness, the four men recall how they were initially taken in by the ideas of early National Socialism, by its supposedly new energy and opportunities, by its cult of the body and “The Anschluss” – which made Austria a part of The German Reich. While Guzzi Lantschner went on to help promote the ideals of the Nazis, working as Leni Riefenstahl’s camera man on “Triumph of the Will” and “Olympia”, the others were increasingly alarmed by events such as the Reichskristallnacht, the outbreak of war, the fate of the Jews and other political developments. They slowly began to distance themselves from “the movement” and never became members of the NSDAP. However their talent in Alpine sports continued to serve them well throughout the war, as they were recalled from desperate situations at the front. While Guzzi Lantschner was freed from active service, in order to shoot war footage for the German news reels, the other three managed to become Alpine guides for the “German Wehrmacht”. After the defeat in 1945, they returned home. Only Guzzi Lantschner left for Argentina. And yet again, it was skiing that provided the framework to rebuild all their post war lives. « Ski Heil - The two planks that mean the world » is a deeply personal journey through the lives of four very different men, who tell their story with unusual frankness, helping to understand the generation, that formed the pre- and post war life in Austria. « Ski Heil - The two planks that mean the world » is a film about passion and repression, about men who grew up during a time different from ours, and about values that can’t be easily categorized in today’s world.